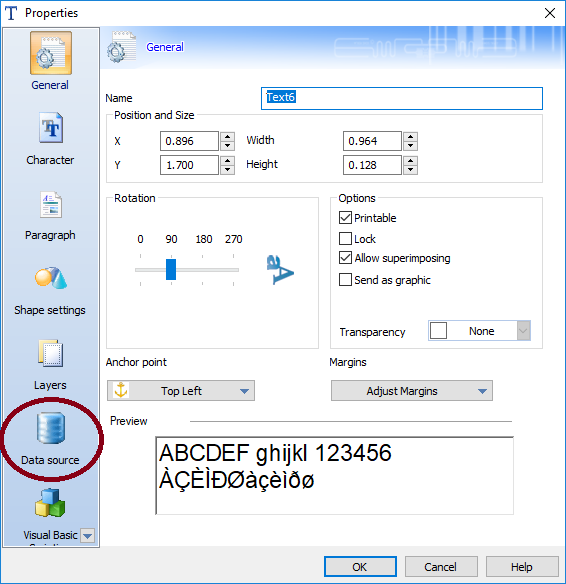 When trying to link a Text Object in CODESOFT, the Properties screen is missing the Data Source option. 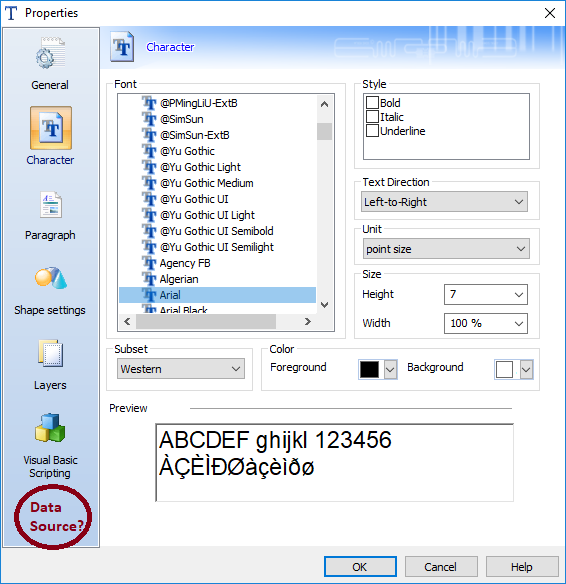 When “Free” is selected, CODESOFT creates an additional Object allowing the user to control the placement, orientation, font size, etc. of the new ‘human readable’ Object. This new label Object acts and looks very similar to a standard Text Object. 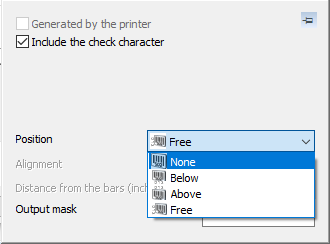 However, since this text field is actually the human readable for a barcode, the ‘data source’ must be the barcode. Therefore, in this particular case, CODESOFT removes the Data Source option. One hint that the label Object is not a standard Text Object is the the title of Properties screen says “Code”. If the value of this Object must originate from a specific Data Source (i.e. 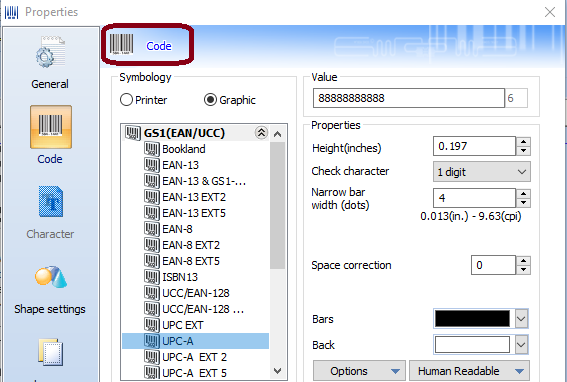 not the barcode itself), then select “None” for the Human Readable setting and create a new Text Object and link it to the desired Data Source. Any new Object created (i.e. not generated from the barcode Human Readable setting), should allow it and thus you should see the Data Source option on the Object Properties screen.